Problem in OTT apps Calling over Ncell.. Is it throttling? 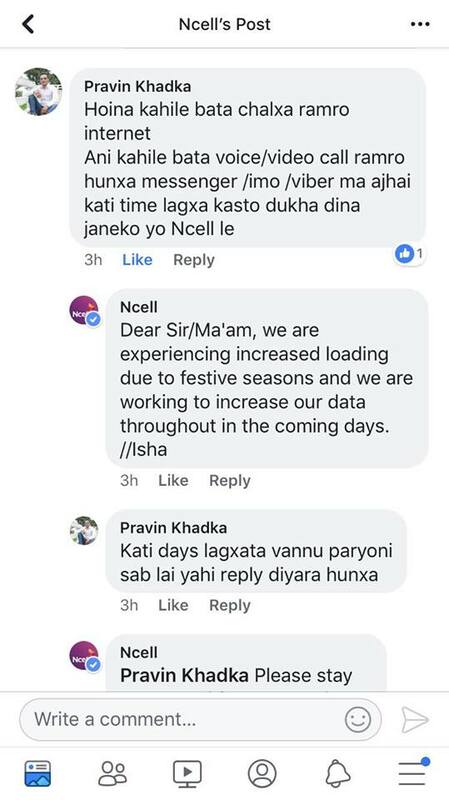 Many Ncell customers have reached us to complain about the problem of voice/video calls using OTT apps over Ncell data. At first, we didn’t take it seriously as it may be due to huge usage during the festive season. But as we get more and more complains and checked at different locations, it seems a big issue or they might have done it intentionally. The term technically called throttling for OTT apps like Viber, WhatsApp, Fb messenger. Find below for more information about OTT throttling and OTT apps call problem Ncell. 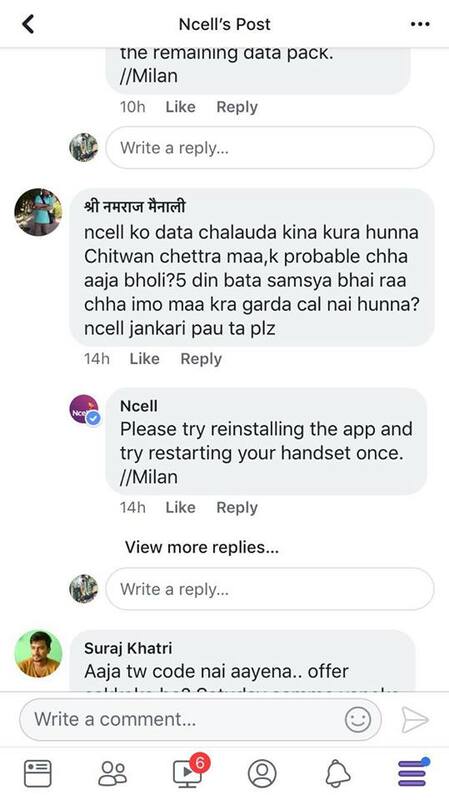 These bunch of youngster before reaching us have also commented to Ncell Facebook page and also the customer care center. From where they only got a response as “We are experiencing increased loading due to festive seasons and we are working to increase our data throughput in coming days”. Same is the response through their call center at 9005 and they told to solve the problem as soon as possible. Find some of the Snapshots for the comments here. These days, people especially youngsters they try different things and find out the reason for the problems. As they surf the internet for various websites and apps, they find such call problem to exist for the OTT apps only. As they told us, their Facebook browsing, YouTube streaming is running well, whereas OTT voice/video calls are not clear. So we suspect this to be a throttling OTT apps. They even told us that they witnessed the problem from Ghatasthapana, the first day of Dashain festival. 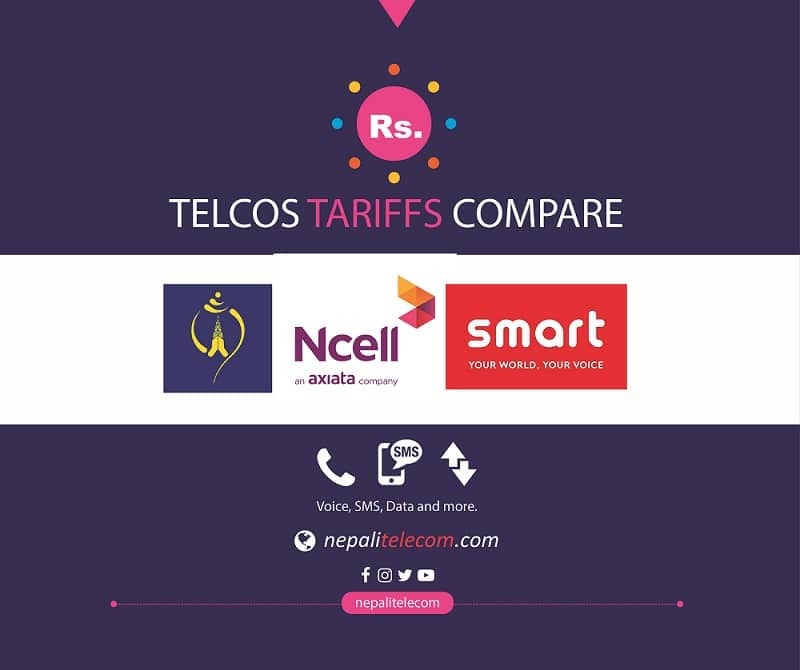 Here are the OTT apps having call issue over Ncell data. 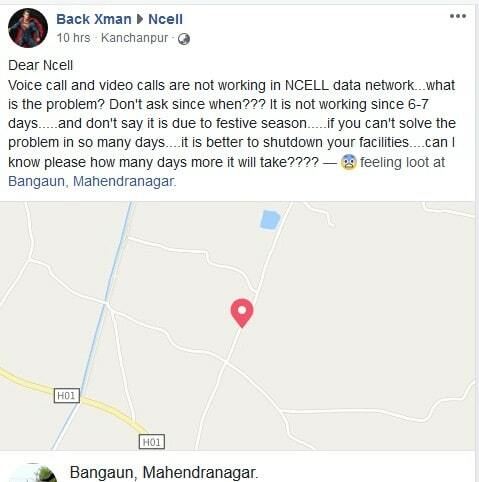 From the comments and posts in Ncell Facebook page wall, we found the OTT calling problem in cities like Mahendranagar, Chitwan, Jhapa, Syangja. The problem might have been noticed in other areas as well. So we request people to check the OTT service at your place. Telecom operators have some tools that can identify the types of traffic that pass through their network. As they can separate the VOIP calls from usual browsing, they can slow down the speed in such OTT apps. So the experience of calls through OTT apps will be very bad/unclear, which encourages them to use traditional voice service. As other websites and app browsing are running well apart from OTT voice/video calls, we suspect the problem either to be a bug in Ncell network or intentional throttling. We already posted a news regarding OTT posing a threat to telcos for the loss of revenues. Although such threat is equal for all the operators, we find such issue in Ncell network only. If you find such OTT call issue over other telcos in Nepal, do feedback it to us. We would like to seek the attention of the regulator NTA into this matter so that customers will not find any trouble. If it is a throttling issue, then it is also against the NET NEUTRALITY rule. So, we also see a requirement of a separate law/directive for the governing of such OTT apps in Nepal. 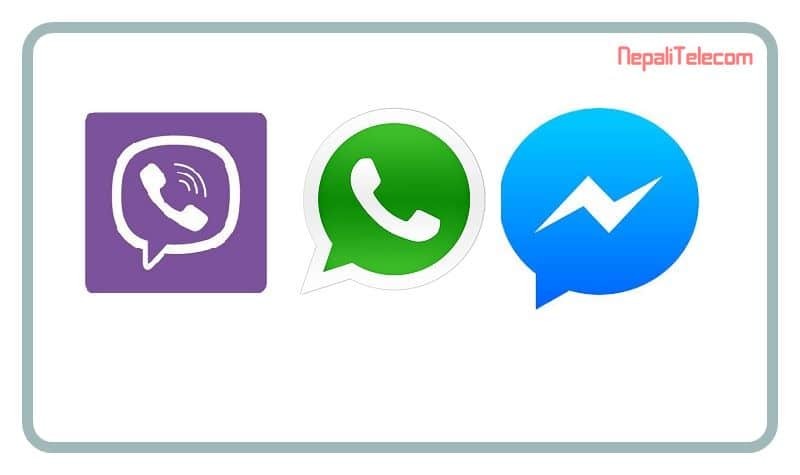 OTT apps like Viber, messenger trobles telcos in Nepal.